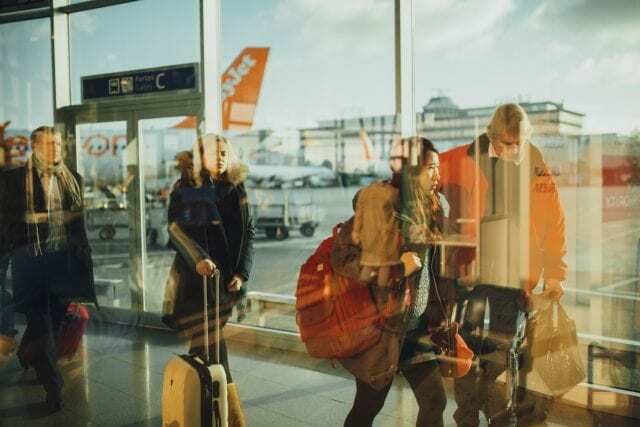 Whether or not you are a frequent flyer, it is important to be prepared when it comes to travelling and knowing your way around international airports. 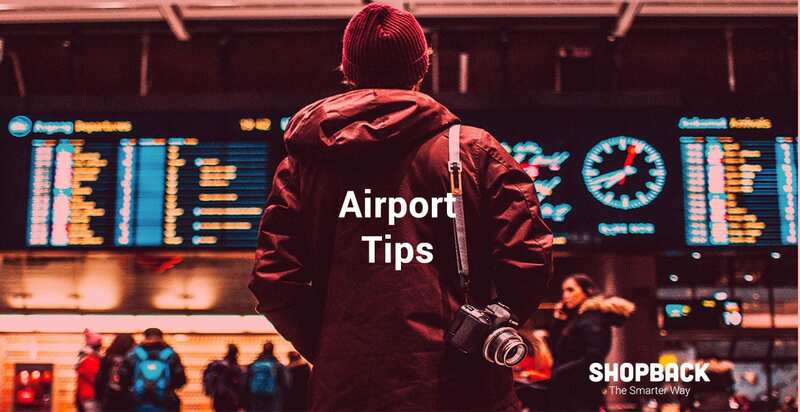 If you don’t want to be on the receiving end of yet another airport horror story but instead make it a pleasant and hassle-free experience, read up and find out how to best prepare for your next flight. 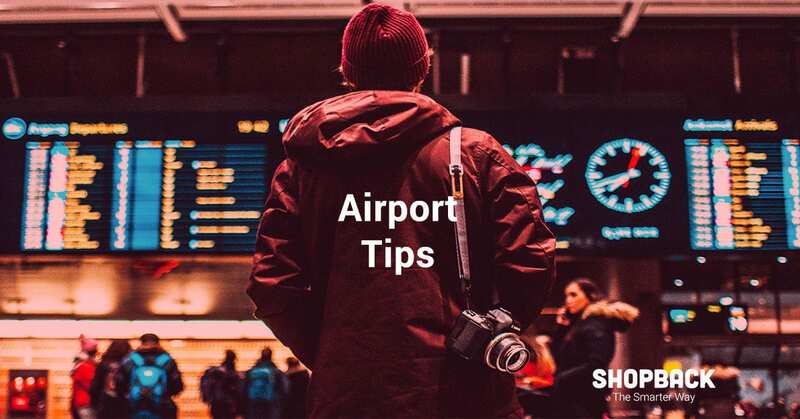 Our round-up of airport tips comes from the best airport tips given by real travellers on Quora.com. To be the first one to know about travel tips and deals, don’t forget to follow us on our Telegram channel. 1. Your carry-on and your check-in luggage. 2. Be careful of what you pack and what you bring. 3. Make sure your bags have ID tags and easy-to-spot markers. 4. Comfortable shoes that are easy to take off. 5. Use jackets or coats that do not have any metal in them. 6. Web check-in is a godsend so take advantage. So are baggage drop-offs. 7. When lining up for security checks, always go to the leftmost queue. 8. Find your boarding gate first, before wandering off. 9. Dress appropriately, not shoddily. 10. Double-check (and triple-check) your belongings while at the airport and before leaving. 11. When packing for your kids, consider their entertainment and what they need to eat. 12. Consider your seating arrangement on the plane. Most airlines allow passengers to bring carry-on luggage with restrictions. Your airline itinerary or ticket usually indicates the size and weight limits of what you can bring onboard so best you check that first before packing. Aside from your carry-on, they usually allow you to bring a small bag or purse and a laptop bag if you have one. WITHOUT WHEELS – Some tips suggest that you bring carry-on bags that do not have any wheels, as some airlines might have you offload them as you are boarding. For your carry-on luggage, liquids are usually not allowed. You cannot bring in water, but you can bring an empty water bottle. Most airports already have water dispensers all over where you can fill up your bottle once you have cleared security. If you need to bring toiletries such as perfume, and other items, make sure that you bring them in containers that are less than 100 ml. It also helps if you put all of these items in a clear, ziplock container for easy inspection. If you are bringing medicine with you, pack this is a clear plastic pouch or bag together with a copy of the doctor’s prescription. This will save you time when you are asked for it. ELECTRONICS – Some airports are very strict about bringing power banks in your carry-on bags. Bangkok, for example, will not allow any power bank bigger than 10,000 mAH. It is best to put it in your check-in luggage if you have one. Most airports have charging stations anyway so you don’t need to worry too much about losing power. For carry-on bags, always check if you have any sharp objects that may be confiscated such as nail clippers, tweezers and small scissors. A lot of pieces of luggage look alike, so to prevent the potential embarrassment of grabbing the wrong bag, find a way to mark it that makes it easy to pick out in a conveyor belt. Some would tie a piece of colourful string or cloth on the handle, and the like. ID tags with your contact information are important. Aside from the usual tag, why not put a calling card inside the bag itself, just in case the tag falls off. You can easily claim ownership when you lose it. Ditch those high heels and fashionable boots. Remember that most airport security checks require you to take off your shoes and run them through the machine. So, it is best to wear shoes that do not have laces and can be easily taken off and put on. If you need to change up your footwear upon landing (i.e. to impress your host or whoever is meeting you at the airport), bring an extra pair in your carry-on. It is also good to wear socks while travelling because you don’t want to be walking barefoot while you are going through security checks. If you cannot avoid these, you need to take them off as well and let them pass through the machine. Make sure that they are easy to take off and put on so you don’t encounter any delays. NO COINS – Make sure that you do not have any coins or keys in your pockets. It is best to have all of these inside your purse or handbag to avoid holding up the line. Most, if not all airlines already have web check-in services, which allows you to get your boarding pass online. In big cities, there are strategic baggage drop-off counters where passengers can check-in their bags. In Hong Kong, for example, you can check-in at the Hong Kong and Kowloon Stations, and take the Airport Express train to the airport from there. 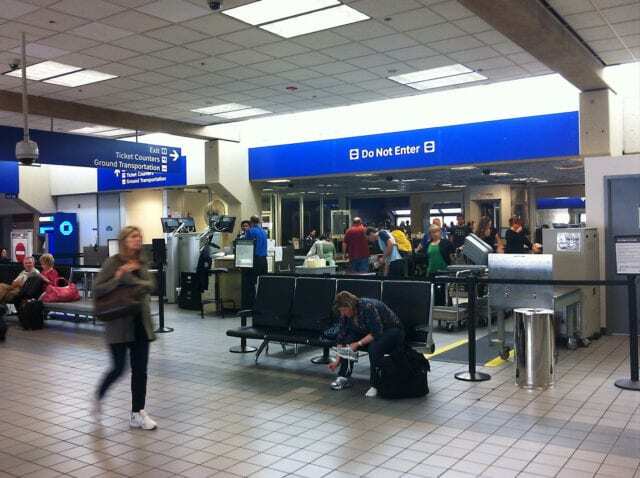 If you do not have check-in luggage, you can just be at the airport at least 1 to 2 hours before your boarding time. Just show them your boarding pass, go through security checks and proceed to the boarding gate. It is also useful to take a photo of your boarding pass, just in case you misplace it. Better yet, have an electronic version of it handy on your phone. Most people who are right-handed tend to favour the right, so rightmost lines are usually the most crowded. Go against them and check your left. Also, observe who else is in the queue with you. If you see a family with kids, try and avoid them. Follow those who have minimal or no carry-on bags as these tend to go through security check faster. If you have enough time on your hands before boarding, find your way to the boarding gate first. This way, you have an idea of how long it will take you to get there. Once you are sure where it is, only then can you go around and check out what the airport has in store for you. Whether you want to go shopping, take a meal, or sit down and catch up on some work, you won’t get lost finding your gate later on. SET AN ALARM on your smartphone or your watch so you do not lose track of time. 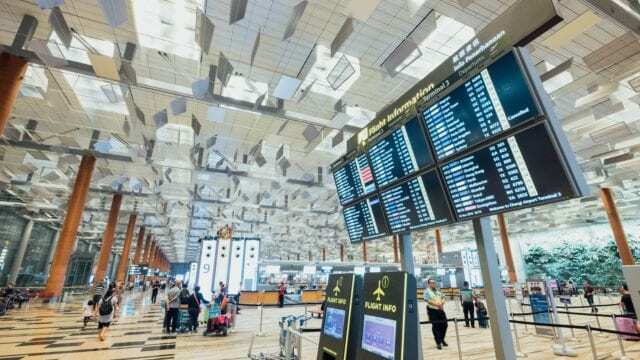 If you are travelling to a foreign country, chances are, you will have to go through long lines at immigration counters. Depending on the country and where you come from, it can be a varied experience. However, it is better to look your best when you are in front of an immigration officer. Have a change of clothes ready in your carry-on especially if you came from a long-haul flight. Freshen up at the nearest bathroom before exiting. Have your travel documents ready as you are queuing: your accomplished arrival pass, a copy of your itinerary and ticket, and your passport. Also, take note that arrival passes are usually distributed on the plane prior to landing. Be courteous and answer all the necessary questions promptly. Oftentimes, passengers forget some of their stuff when they are in a hurry to get to the boarding gate. To prevent this from happening, always pay attention to your belongings, especially your valuables and travel documents. Do not think that because you are in an international airport, you can take it easy. In the end, you are the one ultimately responsible for your personal belongings. Depending on the age of your children, it is best you bring food and/or snacks that they are used to eating. Most kids may not like airline food, so it is best you come prepared, lest they go hungry. 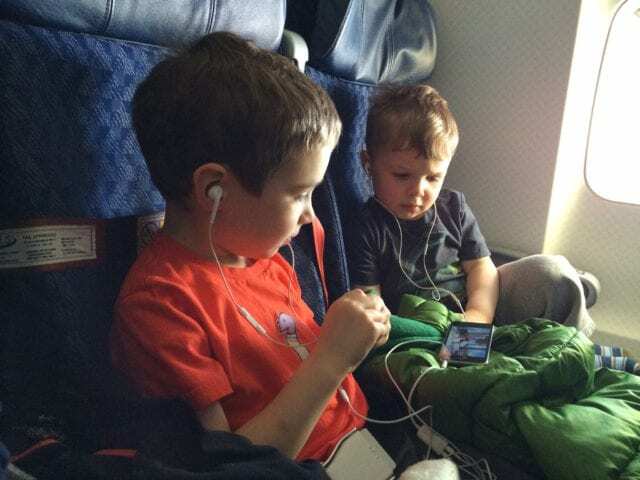 It is also important to keep kids occupied during a long-haul flight. Some recommend packing an easy-access bag with the following: sticker activities, magnetic board activities, small children’s books, crayons and colouring books, electronic games and tablets pre-loaded with videos. If you are two adults travelling with one child, don’t sit together in one row. It is recommended that the child sits in a middle seat with one adult in an aisle seat, while the other adult is seated in an aisle seat in the next row. This is optimal so that the adults can take turns getting a nap or resting. Now that you have all the best tips in international travel on hand, what else are you waiting for? Ready, set, travel.